Michael Bourne came across everything in his life by chance. Originally from Bloomington Indiana, he got his PHD in theatre where he studied with Kevin Kline. The actor would often call on him to take care of his apartment and mail while he was on the road. Apartment sitting served as Michael’s road to London Terrace when the friend of a friend took a job upstate and needed someone to live in her first floor apartment temporarily. Long story short, when the lobby was renovated part of that apartment, 1D, became the doorman’s reception desk and Michael was moved up to the 16th floor. He still enjoys the views of the Statue of Liberty as he writes his theatre and music reviews. Having trained as an actor and singer Michael is gifted with the perfect voice for a radio personality. After finishing school, he landed a gig filling in for a radio host for four weeks that evolved into a passion going on 44 years. He currently hosts the afternoon blues show at WBGO and the Sunday program, ‘Singers Unlimited’. On a personal note I must confess that I’ve been listening to Michael, and many others, on WBGO since they came on the air in the 80’s. Michael described his life as having transitioned into a period of partial retirement from work but you’d never know it. 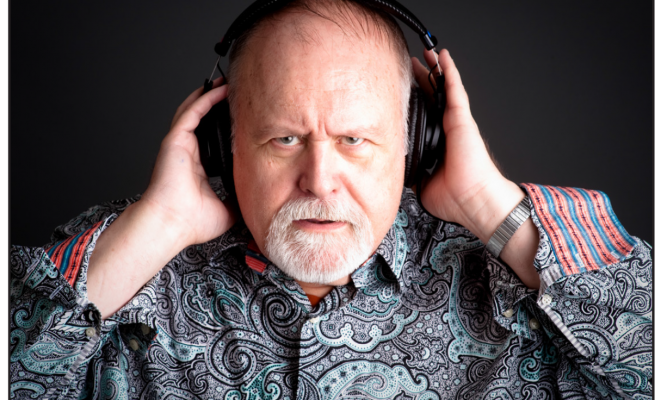 Doing six shows a week, working as a theater critic, and traveling the world following Jazz festivals keeps him pretty busy; He’s reviewed and announced for the Montreal Jazz Festival since the beginning.